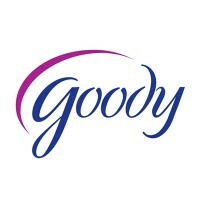 Goody’s is a family-owned department store chain owned by Stage Stores, Inc. They sell cosmetics, apparel, footwear, housewares, and accessories. They also have brands that are exclusive to their company such as Valerie Stevens, Signature Studio, and many more. D. Goodfriend established the company in 1953 in Athens, Tennessee and by 1970, the company managed to expand to 20 stores. Their name was only changed in 1972 when the founder’s son, Bob Goodfriend, whose college nickname was Goody, joined the company. As of 2018, the department store chain is operating more than 200 stores all across the United States. They make up approximately 25% of Stage Stores-owned department stores. Employees who work at the company’s department stores have a variety of benefits to avail. The company offers benefits such as a 401K plan, health insurance, paid vacations, paternity & maternity leave, performance bonuses, legal assistance, and employee discounts. The company’s employees have nothing but praise for their experience working there. They loved how every department store was ran correctly by the management and employees were nice to each other. How old do you have to be to work at Goody’s? For applicants to be considered for a job at one of the company’s department stores, they need to be sixteen years old or older. Cashier: A cashier ensures that the department store’s customers get a good and quick checkout experience. Their duties include operating the cash register, accepting payment, putting the right figures into the system, giving change, and taking care of the cash register’s contents. Cashiers also provide customer service by answering questions and giving suggestions. Because they interact with customers, they need to groom themselves properly and they need to possess a pleasant attitude. Sales Associate: A sales associate provides assistance to the department store’s customers. They answer questions, provide information, and recommend products. They can also be asked to display the products in an organized manner. Sales associates need to have a good attitude, good customer service skills, and proper grooming to do their jobs effectively. Customer Service Representative: A customer service representative acts on behalf of the company to provide customer service. Their duties include answering questions and addressing complaints. They can also answer emails and phone calls received by the customer service email or hotline. Customer service representatives need to have patience to handle difficult customers. Pricing Analyst: A pricing analyst is responsible for giving advice to the company regarding the price of various products. They determine the right price by studying competitors’ prices, consumer trends, and by using mathematical techniques. Pricing analysts work hand in hand with other departments to know how the company can profit more from its products. Store Planner: A store planner is responsible for creating plans about how the store should display their products. They determine this by observing different factors such as customer traffic and the attractiveness of items. Store planners can also tell which products the company should offer by studying sales reports. Beauty Advisor: A beauty advisor helps the company sell cosmetic products. They talk with customers and inform them about products, recommend the goods that are ideal for them, and provide product samples. They need to achieve sales quotas. Beauty advisors need to have self confidence and since they deal with beauty products, they need to groom themselves properly. Store Manager: A store manager oversees the department store’s day-to-day operations. They go to different sections of the department store to act as quality control by observing how employees work and if the products have good quality. Store managers ensure that everyone is working by evenly dividing tasks among employees. If necessary, they can make business and staff-related decisions for the company. Training Administrator: A training administrator is responsible for conducting employee job training programs. They follow a set of procedures to make sure that the company’s employees are ready to work on the field. They also maintain records about employees and their job performance. Allocation Analyst: An allocation analyst ensures that the department store has a good supply of products. They study sales and performance reports to make plans about which products they should offer. Furthermore, an allocation analyst must be observant of small details to perform their jobs well. Store Supervisor: A store supervisor ensures that the establishment is operating smoothly. They lead the staff by ensuring that they are doing their jobs. Aside from giving orders, they can also do jobs such as operating the cash register organizing products. Store supervisors need to have leadership skills and the ability to do different things. Applicants who want to make Goody’s their next workplace should make sure that they possess the necessary requirements, accomplish their application, and submit it to one of the company’s department stores. The company has no official website, which means that job seekers who prefer online applications will have to settle with going to one of the company’s stores and doing an in-store application. In filling up the application form, the applicants must ensure that everything they write is true and correct by double checking it. They should also avoid using erasures as it will make the paper untidy. The applicants should focus a lot of time in perfecting their resume. They should use a format that can highlight their credentials and they should use a simple font style for convenient reading. During the interview process, the interviewees should arrive ahead of schedule and they should wear corporate attire. They should exhibit confidence in answering questions and be attentive to the interviewer. Goody’s is a fun place to work at. The culture in their department stores is filled with friendship, it is a place where all employees have a harmonious relationship. In January 2018, Stage Stores, Inc. the company’s owner, had a comparable sales increase of %1.1. The increase occurred in a 9-week period that ended in December 31, 2017. The department store chain is known for the quality and variety of the products that they offer and for the brands that are exclusively sold in their stores. In 2014, Stage Stores donated approximately $4 million for different causes. It was a part of their Community Counts programs and the money went to 850 local community organizations. 1 How old do you have to be to work at Goody’s?